Highest grade Aluminum I-Beams results in a solid long-lasting trailer. Stainless steel hardware including U-Bolts and fasteners. We don’t cut corners, we use what we would use on our own trailers. American-made and specifically to support your boat as if it were ours. The only way to go. Submersible LED lighting is standard on all of our boat trailers. 15 years of trailer manufacturing and a life-time of living on the water has led us to create a new art form, your trailer… Many customized options are available. Your desires are imperative to the end-product. Let us know exactly what you want. We take pride in our vessels (My wife calls it a “boat”, I call it “my vessel”). Therefore, we take pride in building a beautiful trailer to properly and safely transport your vessel. Strong, tough and beautiful. Built the right way… to perfection, as if it were ours. 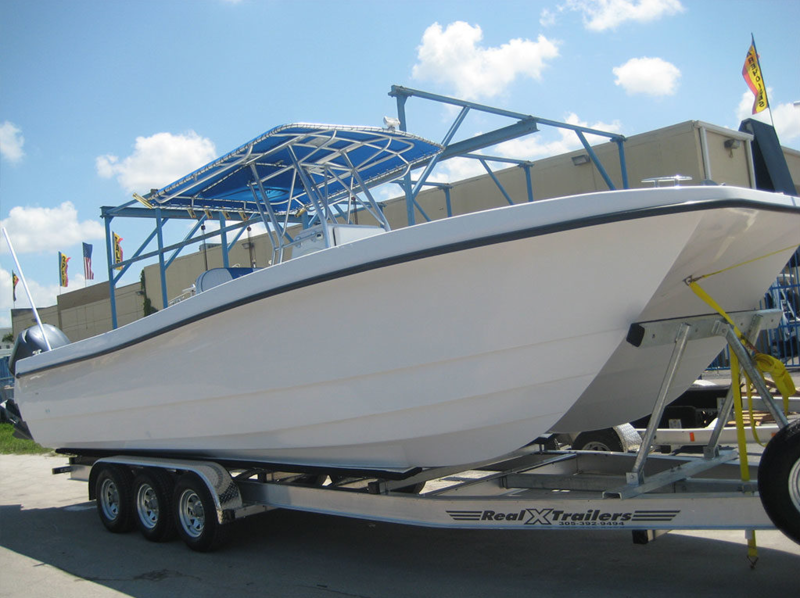 Real X Trailers has been building quality, reliable and beautiful customized boat trailers since 2002. 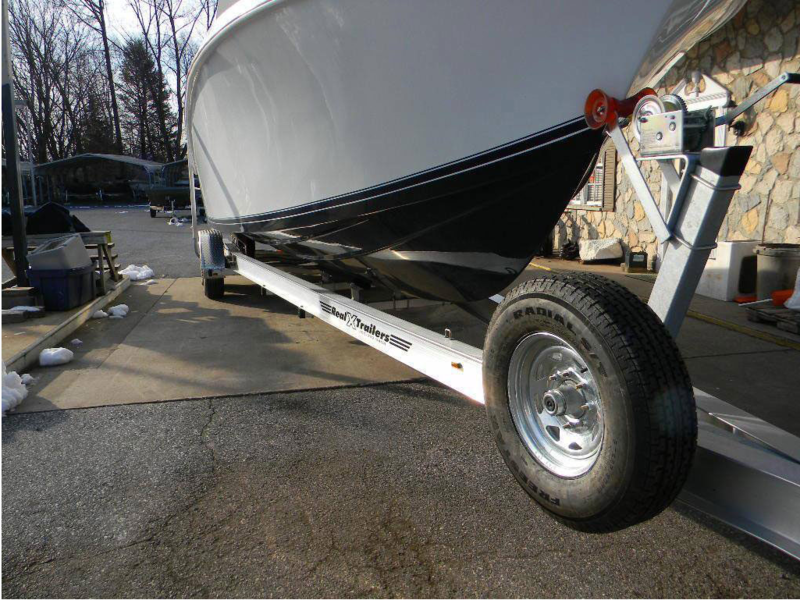 We proudly manufacture boat trailers for many boat manufacturers, boat dealers, and private customers. As a family owned and operated business, we are located in Miami, Florida and have a strong business presence in the southeast United States. We also ship nation-wide and internationally. 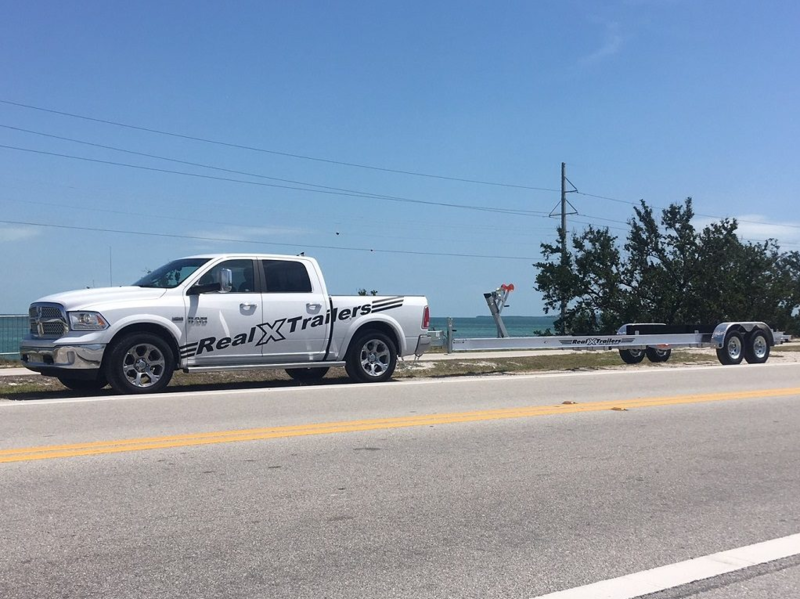 Real X Trailers builds quality aluminum trailers designed for salt water applications. We take pride in our product and stand behind it. 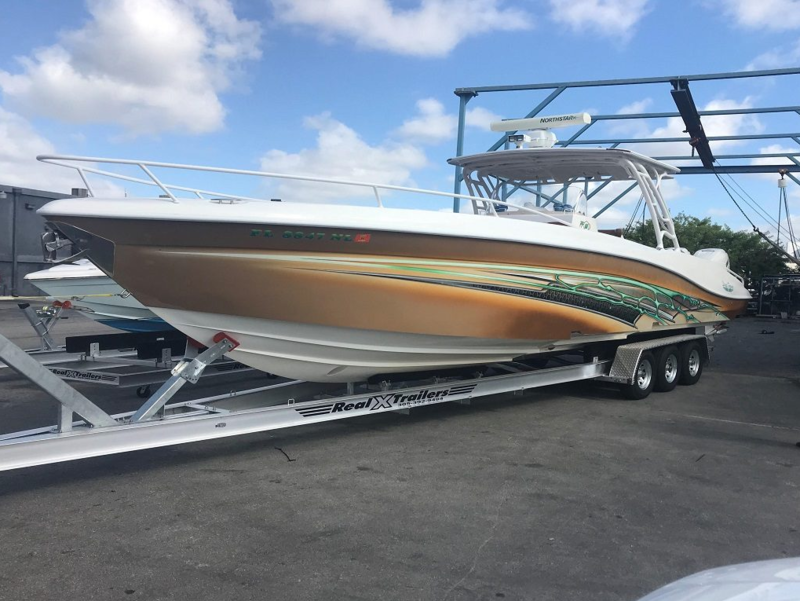 After all, our product represents our love for boating and our commitment to building a boat trailer specifically for you that compares to none other. We are grateful to our customers for their trust and support. We look forward to serving you. Our customers know that “Those who know, choose Real X”! Aluminum trailers will experience virtually no corrosion and are somewhat lighter in weight. They perform extremely well in salt water. We wouldn’t own a galvanized trailer and therefore, wouldn’t build one for you either. 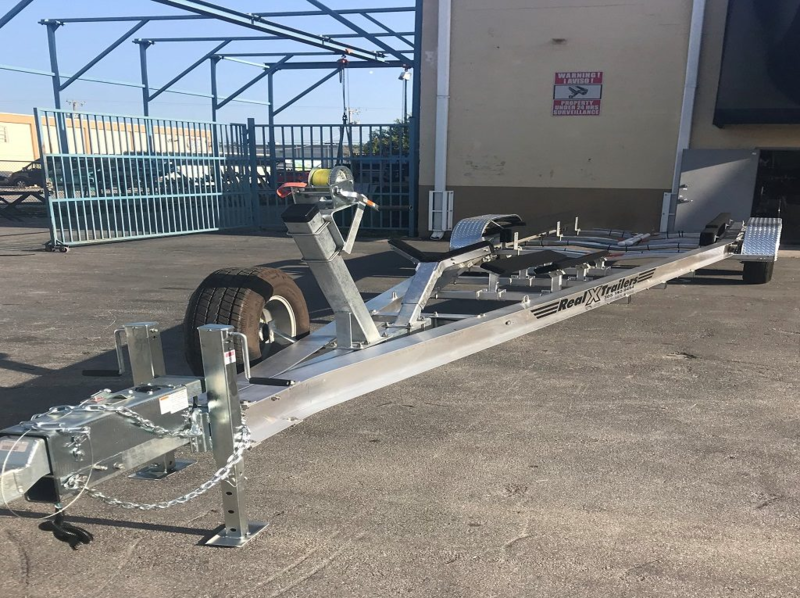 Single or Tandem Axle trailers are available on all models 18’ long and larger. If you plan to do a lot of long distance driving, consider choosing a tandem trailer for the safety it provides in case of a tire failure. Single axle trailers are lighter in weight and easier to maneuver however, their weight capacities are less. Tandem models can carry more weight but are somewhat more difficult to back-up. The State of Florida requires brakes on all axles of any trailer with a G.V.W.R. of 3000 lbs. or more. 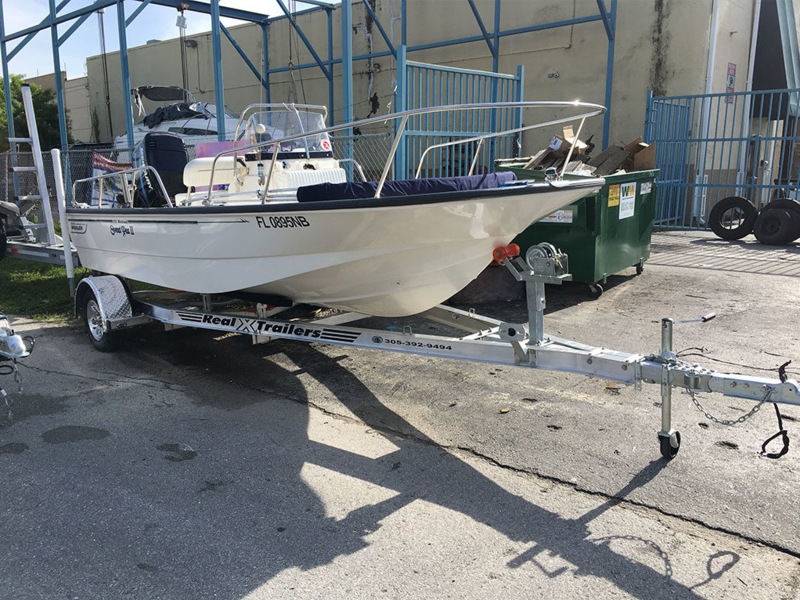 This means the combined weight of the boat, trailer and all equipment being towed. Most other states have similar laws. When selecting a trailer for your needs, be sure you comply with these legal statutes. 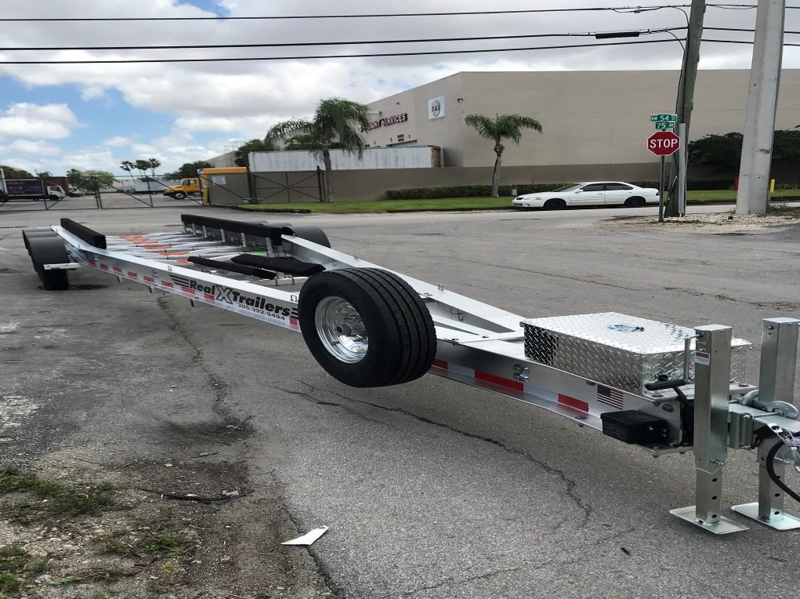 ANY TRAILERS ORDERED THAT DO NOT COMPLY WITH FLORIDA LAW SHOULD NOT BE TOWED ON PUBLIC ROADS. You accept ACCEPT ALL RESPONSIBILITY AND LIABILITY FOR USE OF THE TRAILER.